November 19th was to be a historical date. 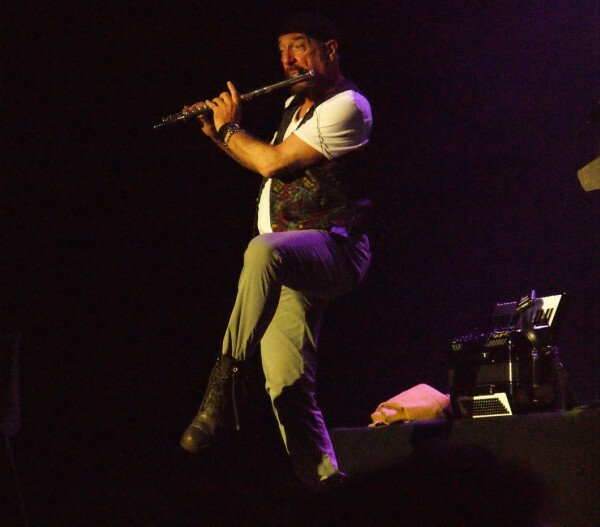 For the first time in decades Thick as a brick would be performed in its entirety by the one and only Ian Anderson himself. And the second half of the concert would be Part 2 of this eponymous work, released this spring under his own name. So the moment I read about the news I ordered my tickets. And that turned out to be an excellent decision. The gig took place in the Rabozaal of the Melkweg in the centre of Amsterdam. When we arrived some 1,5 hours before the start the venue was only filled with a couple of people so we could find a seat (!) close to the stage. The waiting was a bit long but 20.35 the lights went down and we anticipated to see the band come on stage. But instead of that five lads in working mans clothes appeared, wearing brooms and setting out to clean the stage... They turned out to be the band, thus attracting the attention of the then fully packed venue, only to make room for mr. Anderson himself who sneaked on stage in the corner. Standing in the dark the spot was focused and then the Melkweg was filled with 'Really don't mind if you set this one out'. Shivers all down my spine, the classic album started! The sound was crispy clear, the lights perfect and that would remain that way the rest of this unforgettable evening. 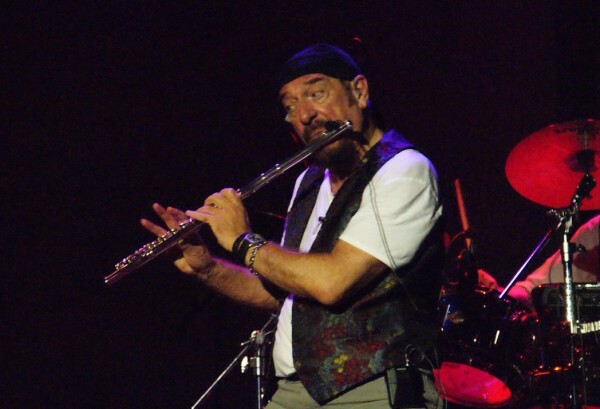 But it was also immediately apparent that Ian Anderson's voice has deteriorated enormously because he was not able any more to reach the higher or longer notes. At first that felt rather awkward because you really want to have Thick as a brick perfectly. But then this young lad called Ryan O'Donnell appears on stage, taking over many parts of the singing and doing that in a more that good way. His voice is very much alike Andersons (very surprising!) and he can reach those high and long notes with ease. So that was a really clever solution that worked out well. And it also became clear that Anderson's voice is better suited to the new music, so to TaaB II, then to perform the old songs. 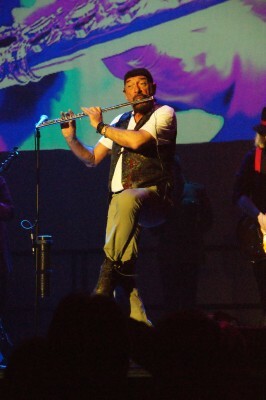 The band was very, very good, as was Andersons extensive flute and guitar playing. Too bad Martin Barre is no longer playing with this band but his successor, a young German called Florian Opahle, is a real asset. 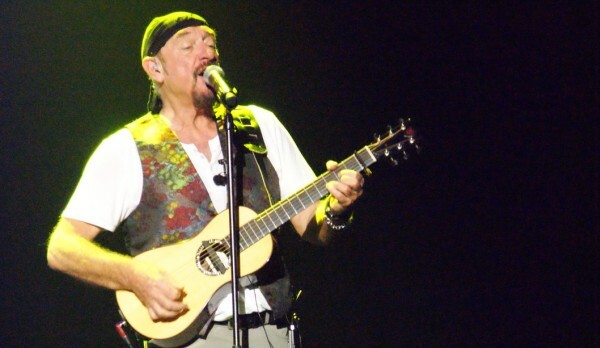 He plays his guitar in a very easy, laid back manner but flawlessly. Musically this was a historic evening, no doubt. 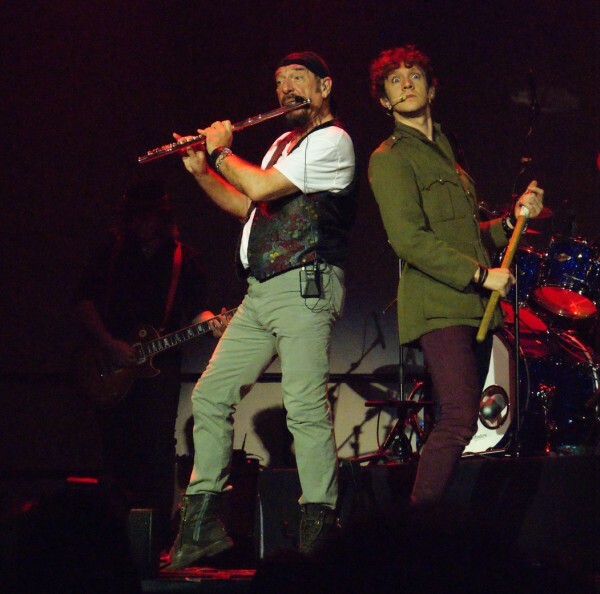 But apart from that the humour, that is so characteristic for Jethro Tull and Ian Anderson, was there too, in the form of a very 'disturbing' phone call right in the middle of the first part of Thick as a brick part I, only to introduce a female violin player to join in through a movie screen, and in a really 'stupid' play at the start of Thick as a brick II. 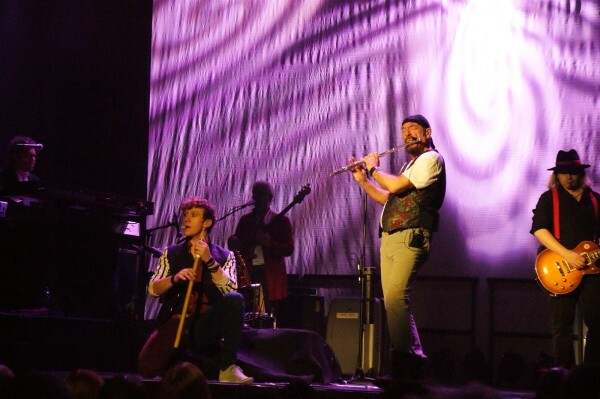 During the entire concert the band acted regularly as actors, supporting the story of Gerald Bostock in his youth and as different kinds of grown up. Very, very enjoyable, very cleverly performed. It hugely contributed to the enjoyment of this superb concert. So this was really an experience I will never forget. I am grateful to have witnessed this icon of progressive rock music and to have gone under in the very good Thick as a brick II. I will not be surprised if this turns out to be Anderson's last tour because of his deteriorating voice. Yet this was impressive and emotional and therefore the enormous applause at the end was very well deserved.